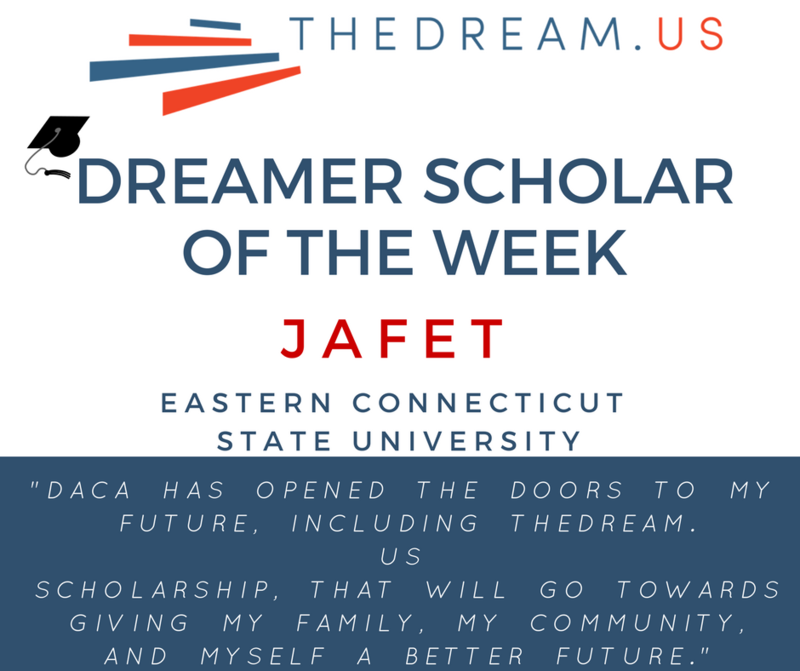 Jafet, 18, From North Carolina, born in Mexico. careers like the one I aim to obtain. I have cousins who just began high school, and they’ve both asked me to be their mentor. Honored, I accepted without hesitation. In the future, I want to work as a software developer or maybe open a business in the technology industry to create more jobs. Without college, and without DACA and TheDream.US scholarship, I’d be working in construction with my father, afraid to leave my house — living in constant fear and frustration about not being able to do the simple things that others take for granted, including traveling, driving, or applying to college. Now, I hope to graduate with my degree in computer science and continue my education by obtaining a PhD. And I want to give back to my parents for all they sacrificed to help me to be where I am.